Wherever you are in the world, dining out with small children is an experience. Whether that experience is good or bad depends a lot on many factors. Not least of all how child-friendly the restaurant is. Thankfully here in Japan there is a great selection of family-friendly restaurants, particularly in large cities. Family restaurants are just one type of several varieties of restaurants. Within the family restaurant genre there are further sub-divisions. But whatever type of family restaurant you go to there is usually a kids menu. They also usually provide small bowls and / or plates and children's cutlery with character motifs so, if you prefer, you can share your meal with your child. The children's menus do tend to be quite small, but they usually have something a child will eat. They normally have at least one of the following on the menu; a pasta dish, curry, pancakes, a burger dish and an onigiri dish. There are variations of course, and sides differ too. 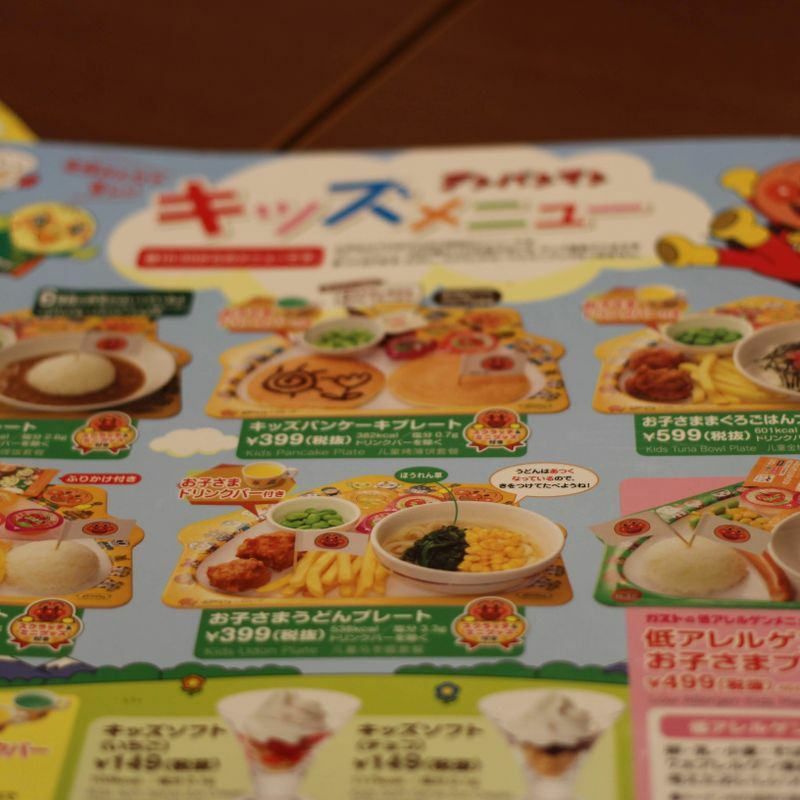 Family restaurant chains such as Gusto, Royal Host, Saizeriya, Denny's to name but a few, have such generic meals for children that you'd swear they were all made by the same people. Maybe they are! Even the plates they come on are very similar. 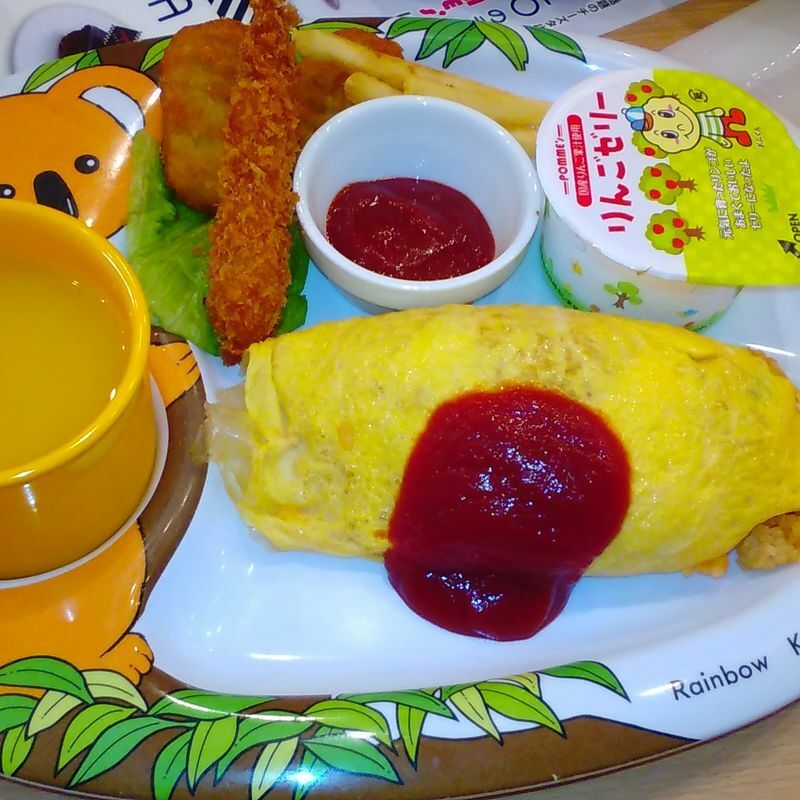 At least two of the family chain restaurants have Anpanman character plates and countless restaurants around Japan have the koala plate pictured above. There are always exceptions and if you want to get a really good children's meal the best place is probably an "oyako" restaurant. Oyako literally means parent and child. Oyako restaurants are one of the sub branches of family restaurants. The majority of oyako restaurants are particularly child friendly. Usually they have facilities for children, such as high chairs and changing mats. Most of them also normally have a play area or at the very least some toys or books out for kids to play with. The above photo is from my personal favourite oyako restaurant in a rural area of Saitama. 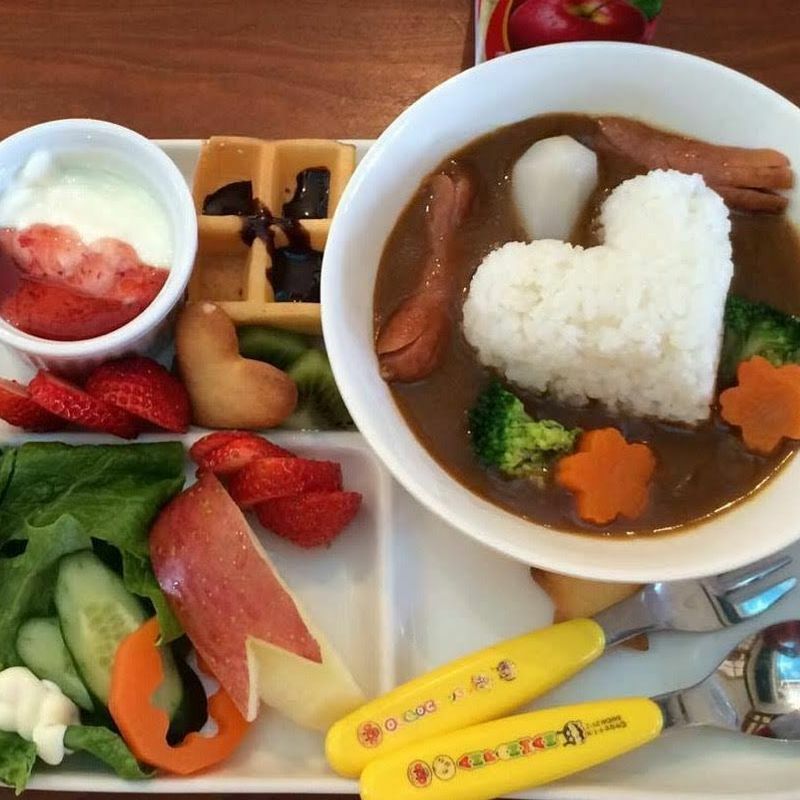 As you can see the meal is particularly appealing to children with the fun shapes and overall presentation. Moreover the vegetables are fresh from the owner's farm and, although not certified, are organic. My kids love going to this restaurant because they love the food and because it has a great play area indoors and an even better one outdoors. I love going to this restaurant because the food is delicious, the kids amuse themselves and when I go with my friends we can really relax and talk. There are other family restaurants that have fun factors like for example in Tochigi a mini steam locomotive that delivers your food. 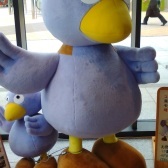 A restaurant might have a character theme or a present for children with their meal. Whatever the restaurant type or offering, I find once the restaurant has something on the menu for the kids we are off to a good start and more likely to have a good rather than bad overall experience!